In the midst of the hype surrounding big-budget Hindi ventures such as Airlift, Fan and Housefull 3, you may not have noticed that little Nil Battey Sannata just completed a nine-week run in some cities. Ashwiny Iyer Tiwari’s directorial debut starring Swara Bhaskar, Pankaj Tripathi and Ratna Pathak Shah survived this long despite virtually no marketing. This story about a housemaid who is determined to give her daughter an education and ambition, triumphed almost entirely on the strength of rave reviews from professional critics and positive word of mouth from the audience since its release on April 22. Several worlds away from the Agra setting of Nil Battey Sannata is the village where Nagraj Manjule’s Sairat unfolds. 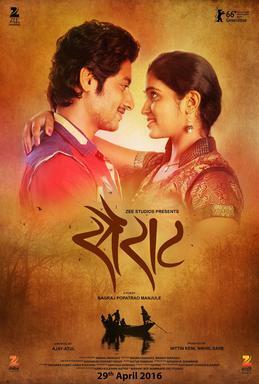 A Marathi film on love across caste barriers in rural Maharashtra, it was made, reportedly, on a budget of Rs 4 crore, released all India on April 29, is still going strong in theatres and with over Rs 80 crore already in its kitty from domestic turnstiles according to press reports, is among the year’s highest earning Indian films so far. As Sairat forges ahead, the Kannada film Thithi – directed by debutant Raam Reddy – has completed seven weeks in Karnataka theatres and has been wending its way across the country. 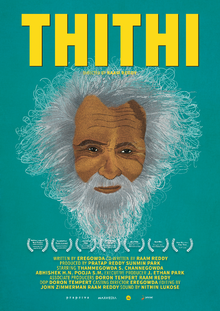 Thithi released in its home state in early May, and hit major urban centres in the rest of India on June 3 armed with strong social-media endorsements from non-Kannada film stalwarts such as Aamir Khan and Anurag Kashyap. The availability of halls for these films and their box-office fortunes spell happy news for independent and/or small filmmakers. Clearly, a sufficiently significant pan-India viewership is interested in languages other than their own mother tongues and in the experimental winds blowing through the indie circuit across states. Take Thithi, for instance. Who would have thought that a chronicle of the 11 days following an impoverished, senile villager’s death could result in a whimsical, tragi-comic, sensitively handled social satire? Yet, that is what Reddy’s film turns out to be, as it follows the old man’s family in the run-up to the expensive post-cremation ceremony they are compelled to perform despite the dire economic straits they are in. This is not the kind of film that invites raucous laughter of the sort evoked by British filmmaker Frank Oz’s Death at a Funeral. Such a comedic tone would in all likelihood have been out of place considering the circumstances of the Kannada film’s protagonists. It makes sense then that Thithi is a quieter, slower film. Part of its charm lies in the fact that it does not fall into the lazy trap of romanticising poverty to evoke sympathy or being condescending towards rural India and caricaturing its inhabitants to tickle the funny bone. The other allure of the gently amusing narrative comes from the cast of non-professional actors who look and perform as if they have walked out of their real-life stories and on to the screen to simply be who they are. Come to think of it, that is precisely what they have done. Reddy has told the press he cast his three leads – real-life residents of the Karnataka village Nodekoppalu in which the story is set – before he co-wrote the story with his colleague Eregowda who happens to belong to the place; that they observed the trio and life in Nodekoppalu prior to devising the script. The result of his desire to dip into the real world is a smorgasbord of delightful actors – all from Nodekoppalu – and acutely observed characters. The starting block of this bitter-sweet tale is the cranky Century Gowda (played by Singrigowda), who dies at the age of 101. His uncaring, unworldly offspring Gadappa (Channegowda) wanders aimlessly around the village, showering affection on no one and nothing but his brandy and beedis. Gadappa’s financially desperate son Thamanna (Thammegowda S) wants the family property transferred in his name. The fourth generation in the picture is Thamanna’s horny son Abhi (Abhishek SN) lusting after a pretty and strong-willed shepherdess. Despite its rootedness in Nodekoppalu, Thithi is blessed with a universality that has won hearts across the world through its seemingly simple yet complex plot and unexpected sense of humour. Last year Thithi won awards at the Locarno International Film Festival, Mumbai, Marrakech and Palm Springs. It scooped up awards in India and abroad this year too, topping it off with the National Award for 2015’s Best Kannada Film. None of this should in any way suggest that the trials of small-budget independent cinematic ventures in India are over. Far from it. Most still struggle to make the journey from the film festival circuit to a theatrical release. Those that manage to come to theatres have a tough time getting good time slots in prime venues. Big corporates that sometimes pick them up for distribution barely promote them. And barring some individuals, the supposedly ‘national’ mainstream news media based in Delhi and Mumbai – read: the English language media headquartered in these cities – are notoriously indifferent to all Indian cinemas other than Hindi, which serves as a double whammy for non-Hindi indies. The simultaneous success of the likes of Sairat, Thithi and Nil Battey Sannata this year is a pointed reminder to the media, distributors and theatre owners that they have completely underestimated audience interest in small and/or indie films across languages. Moral of the story: never assume – without checking – what readers and viewers (do not) want.